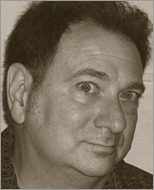 Rich Rosen is one of the co-authors (along with Brian Jepson and Ernie Rothman) of the fourth edition of Mac OS X for Unix Geeks, which was published in the fall of 2008. He has been actively working with Macs for over twenty years, currently using a Mac mini as his home server, an iMac as the centerpiece of his home recording studio, and a MacBook for live musical performance and writing. Rich has also collaborated with Leon Shklar on Web Application Architecture: Principles, Protocols & Practices, a textbook on advanced Web application development that had its second edition published in the spring of 2009. He began his career eons ago at Bell Labs, where his work with relational databases, Unix, and the Internet prepared him well for the world of Web application development. He currently works at Wireless Generation in Brooklyn, NY where he is a Senior Software Developer. Rich holds an M.S. in Computer Science from Stevens Institute of Technology, and he lives in New Jersey with his wife, Celia, whose singing provides a sweet counterpoint to the cacophony he produces in his studio.